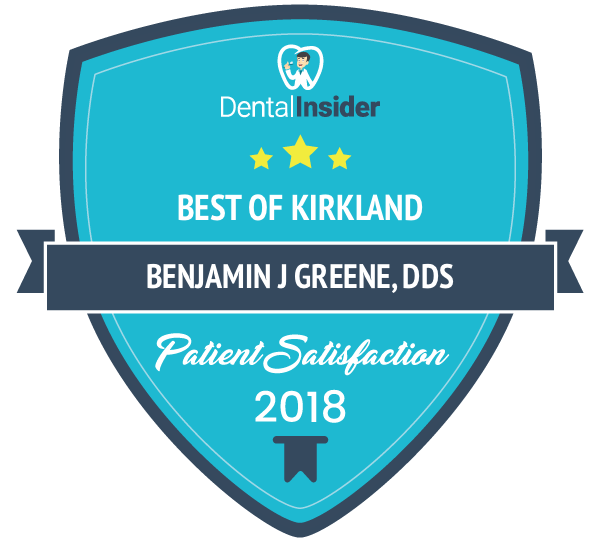 When it comes to getting a beautiful smile, there are many options available at Kirkland Family Dentistry. But we don’t just offer you quick-fixes. We offer solutions that will last. Dental crowns and bridges are great options for patients who are missing teeth or who have damaged a tooth. A traditional dental crown is a restorative dental solution to help you save a tooth that has been badly damaged by decay or trauma. Whenever possible, we work to reduce the likelihood that a tooth will be removed. Dental crowns help us achieve that goal. Crowns are sometimes used with bridges to replace missing teeth when several teeth in a row have been removed or badly damaged. Crowns will typically be placed following a root canal, dental implant, or the filling of a large cavity. Crowns are also used cosmetically to improve the appearance of teeth and in conjunction with bridges to fill in gaps in your smile. A traditional dental crown is supported by a natural tooth’s root structure, while a dental implant crown is supported by a root replacement that was done by a dental implant procedure. While the tooth-root replacement can last a lifetime the crown that is placed on it doesn’t. The implant crown is the only part you see in the mouth and they may need to be replaced or repaired over time. What are Dental Crowns and Bridges Made From? At Kirkland Family Dentistry, we strive to use only the highest-quality, state-of-the-art materials. We are committed to providing a comfortable and convenient experience for our patients. Dr. Everett and Dr. Greene place crowns, implant crowns, and bridges to improve the function and appearance of our patients’ teeth. Our crowns, made with high-tech dental porcelain, are indistinguishable from the rest of your natural teeth. You will be able to bite and chew the same as your other teeth and they require no special care. Bridges are also a solution we use to replace missing teeth. With bridges, a prosthetic porcelain tooth, or set of teeth, will be anchored to two surrounding teeth using crowns and then cemented into place. As with crowns, bridges look and function just like the rest of your teeth. They are easily affixed to your surrounding teeth and are removable for easy cleaning in some cases. There are many benefits to using dental crowns and dental bridges. They are easy to create and customize to match your existing teeth. The wait time between when you first arrive at our Kirkland, WA dental office and the time when you leave with an improved smile is minimal. Crowns are permanently affixed to your existing teeth, or as part of a bridge, and are durable, long-lasting, and look great against the remainder of your natural teeth. Both bridge crowns and implant crowns can be created to look like your natural teeth and only you’ll know the difference. Because crowns are made from durable, porcelain materials, they hold up to regular use. They are also easy to fix if they should become damaged over time. Why Should You Consider Dental Crowns and Bridges? As part of your overall oral health plan, ensuring your teeth are in good working order should be a top priority. When you’re missing teeth or if teeth have become badly damaged due to an accident, injury, or neglect, you run the risk of losing the teeth, as well as others that surround it. If you are suffering from a serious infection, the risk of the surrounding teeth and gums becoming infected is quite high. If you’re experiencing a dental infection, see one of our professional and friendly dentists right away. A root canal therapy may be easily administered and the tooth can be saved. What’s more, dental crowns and bridges ensure that you have a full set of teeth, which is important not only to your oral health but also your general health. Your teeth impact the way you eat, speak, and even breathe and need to be cared for. For more information about dental crowns, implants, dental implants, bridges and more, don’t hesitate to reach out to our Kirkland, WA dental office today. Our staff are waiting to hear from you. Call us today at (425) 822-0435.